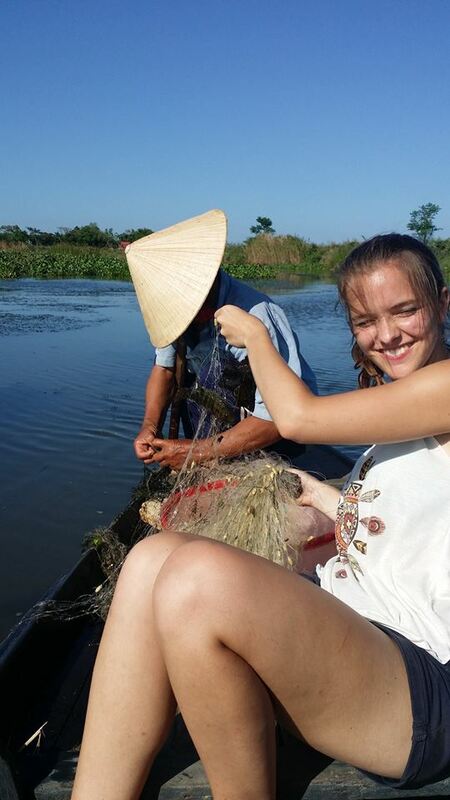 A day living as a fisherman in Hoi An begins with the journey along the Thanh Dong River on a wooden boat. Go Fishing like a local is a unique tour leading you into the inner life of local fishing people. Discover the exciting and hard life of local fisherman by learning to lift big fishing nets out of the water, using a boat to get fish out of the net and spreading fishing nets named “RO” into a professional circle to catch fish and many kinds of samples. You will try how to make the fish salad dish from your fish catched and then enjoy a special meal in our cozy host house . This tour provides you with a cultural window to the life of the fishing community. It is perfect for anyone who wants to get out of town to see the rural life first hand while enjoying rural activities and lots of open space. Let’s have a memorable holiday by joining in the daily work of fishers.